I’m writing this in hopes of helping other people get more information on a debilitating foot condition called Morton’s Neuroma (warning, graphic photo below). My left foot, working itself to oblivion. In October of 2011 I spent 16 days riding a bicycle ~700 miles from Bogota, Columbia to Quito, Ecuador. Days in the saddle were long, hills were steep, and I wore trail runners for the utility of having around the town shoes. After moving to Missoula, I got back into a regular pattern of long trail runs, and shortly developed an annoying pain in my left foot. I had high deductible health insurance and a healthy distrust of western medicine, so I tried ice baths and acupuncture and strengthening exercises and anything else I could think of. No luck. 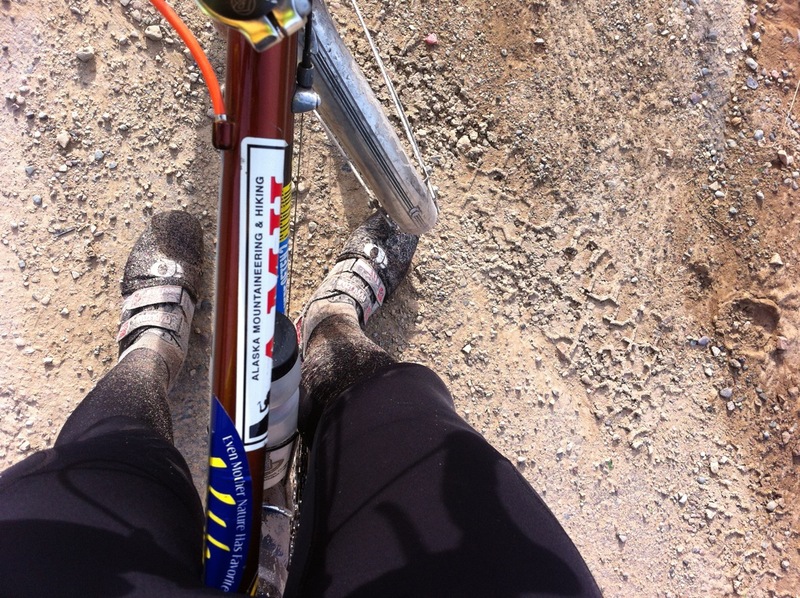 Spring 2012, more biking, less running. I started biking more, and got away from running all together, until I found 5 Fingers. My toes splayed out wider, my calves got stronger, and I got back to running. Morton’s Neuroma describes damage to nerve tissue in the web spaces between your toes, and normally feels like shooting pains. I felt the pains strongly wearing normal closed toed shoes, but the 5 Fingers seemed to keep me pain free. In June of 2012 I fractured my second metatarsal after a 14 mile run in 5 Fingers. I saw a certified Podiatrist, he gave me a walking boot, and confirmed my symptoms as Morton’s Neuroma. Not my finest moment, but I didn’t have any trouble with the Neuroma for a while. 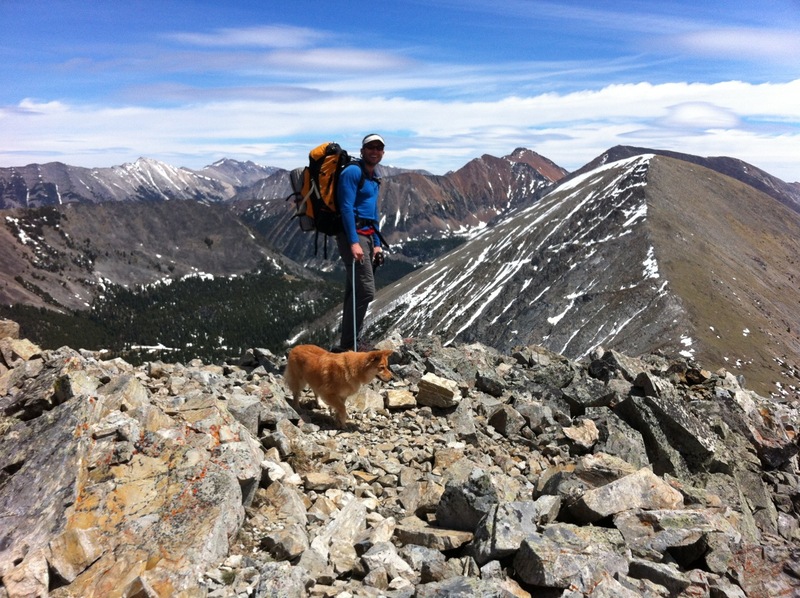 10,000′, Pintler wilderness. The day before this photo was taken, I fractured my second metatarsal. I got back to running in 5 Fingers in September 2012, and even started to wear closed toed shoes with a substantial metatarsal pad in the footbed. Things seemed to get better, until they got worse. Real pain returned in October, and I went back to the podiatrist in November for a cortisone shot. This seemed to provide some substantial relief, but I wasn’t up to running, and by the time ice season rolled around in December, ice boots didn’t feel very good either. The podiatrist wasn’t even interested in the followup appointment, let alone giving me further options for treatment. I stumbled out of his office and hoped for the best. I went to Australia in January of 2013 and wore flip flops and 5 Fingers for a month. I was pretty much pain free, and even got out for some longer running. I took closed toed shoes, and wore them on occasion, but I had fallen in love with the 5 Fingers, so I didn’t worry about it. Coming back to work in February and something flared up in my foot, and things turned ugly for real. While in Seattle, I happened to talk to a client that had had the same problems. I had avoided even thinking about another surgery on my left foot. The bunion I had removed in March of 2011 was enough to turn me off the idea. This guy though, said it was required and I was starting to get desperate. I boot the walking boot back on after a tough construction job in the beginning of April and got the name of a good surgeon in town. Walking without the boot became purely impossible over the next week. The surgeon and I talked on April 30 and it didn’t take long for me to realize cutting things open is sometimes the best way to go. Last Friday morning, Dr. Heid cut a 1.25″ bag of seriously pissed off nerve tissue out of the top of my left foot. The perpetrator. Scale in centimeters. I’m taking it slow and dreaming of running in the gorgeous evening light outside my window. A big thanks to the team at Northern Rockies Orthopedics, my lovely girlfriend Sarah, and the many different Missoulians that have come out of the woodwork to trade cars (Steph&Noah! 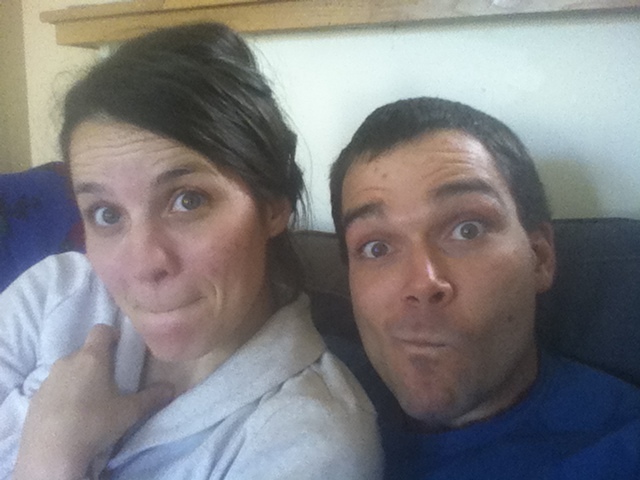 ), make meals (Krista&Nate), and generally make life easier (Meghann, Tess, Paul, Kim, and many more). I think life is going to be better this way. Good company on my couch. Don’t ignore the early symptoms. Toughing it out is a bad plan. Don’t rule out the options. I’ve passed up more adventures than I’d like to admit in the last year, mostly because I didn’t really dig into dealing with the problem. I’m still not sure there’s a way to avoid surgery, but I suspect early treatment is always better. 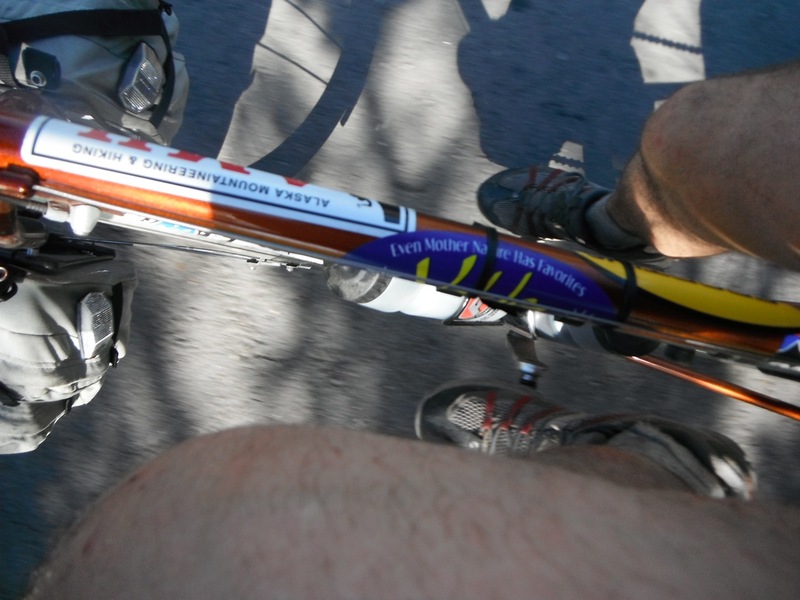 Dr. Heid suspects that my leg length discrepancy+an improperly adjusted touring bike probably put my feet over the edge with all the other abuse I’ve put on them. Get your bike fitted and make sure your body mechanics work. $300 bike fitting >> $3000 surgery. This entry was posted in Montana Experience, People, Uncategorized and tagged ball of foot shooting pain, foot pain, morton's neuroma, neuroma surgery, neuroma symptoms on May 14, 2013 by sticker1. I had surgery for Morton’s neuroma on Monday, May 6th. When I am at my house, I watch the honeybees fly in and out of their hive from my bedroom window. When I am at my boyfriend’s house, I watch the ducks swim by in the lake. I am hoping for a speedy recovery but must be realistic that foot surgery takes a while. It’s Day 15 for me and I am still hobbling along on crutches. On Day 17, my stitches and bandage will be removed. Good luck to you. Don’t ignore the early symptoms is the best advice you can give. I had changed out all my running footwear (unlike you pre-surgery FiveFingers didn’t help me, but made the pain worse; post-surgery, I can now wear FiveFingers); $300 custom-casted orthotics with metty pads, cortisone injection (the doctor stuck the needle all the way through my foot! yes, that’s right! ); new doctor, I had 16 alcohol sclerosing injections, 5 sessions of analgesic shockwave therapy with 8 more numbing injections (given every other visit); new doctor, I had cryosurgery with 12 more numbing injections; new doctor, traditional dorsal surgery just like yours with four neuromas removed that look exactly like yours, all of which grew back into stump neuromas within just about three months, then given 4 pain block injections (ankles); new doctor, this one a pioneer of peripheral nerve surgery, had “resection of the stump neuromas in one foot and implantation into muscle” (THIS IS KEY TO PREVENT THE “NEW” NERVE ENDINGS FROM REDEVELOPING STUMP NEUROMAS). So far so good, and that was done August 30. No new stumps have developed (although I have had one nerve branch of the four–two branches in each foot are divided–fall…yes, more lucky-me). So my purpose for posting this is… If at anytime you feel you need support or info or would like to talk to others who are or have gone through what you are going through, please join us at MN Talk at http://www.MortonsNeuromaTalk.com. We are the only forum dedicated to only MN. I have sufferred with Mortons in my left foot for 5 yrs. I will NOT have foot surgery. Orthodics and wide toe boxes get me by. Yes, over 5 mile runs can be painful. Best of luck to all sufferers. Rob, have you looked into Endoscopic Decompression of Intermetatarsal Neuroma (EDIN). Basically the doc makes a very small (and it is very small) incision between the toes, then inserting a small camera to visualize and cut the top or dorsal ligament, thus decompressing the nerve and relieving the pain. I just had it done in September and it was much simpler, recovery time and pain was minimum. This past Saturday was my first day of “running” and it is amazing the difference. Thanks so much for posting about this. I’m a new triathlete and I was training for a few sprints with the hopes of someday going bigger. The Dr. thought I had a fracture, but I was eventually DX with a Morton’s Neuroma. I turned down the injection (for fear of the pain!) and started with steroid pills. They are NOT working. I’m pretty desperate to get back to running and cycling. The injection may be next… I’m praying for no surgery. That pic you posted was pretty graphic- though it makes sense since I can feel the nerve bundle between my metas. OUCH! Hope you are back on the road now! 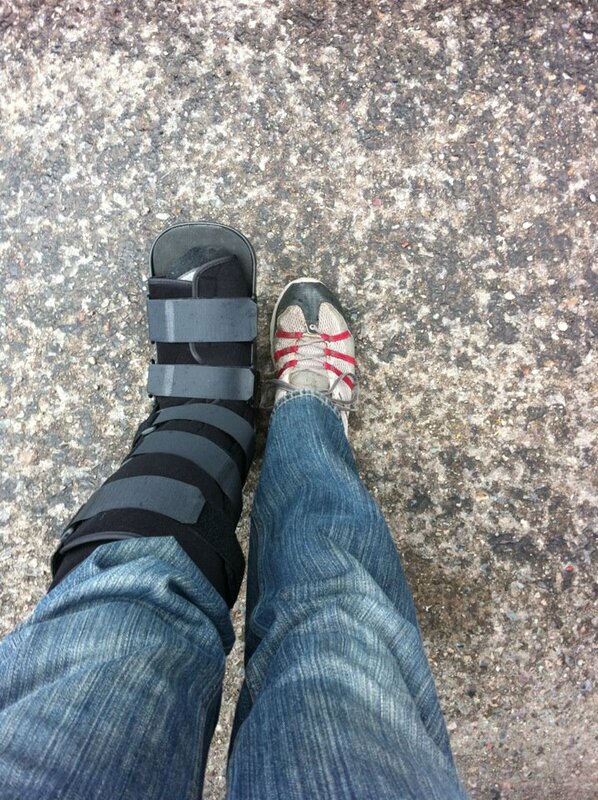 I tore all of the ligaments in my right foot 2 years ago, how….no idea. But the lasting result is a painful morton’s neuroma. Tried the wearing of tennis shoe, and that helps, but I can’t wear tennis shoes for all occasions. I broke down and got a steroid injection ….. OWWWWW! It didn’t even get rid of the pain for 3 weeks! You can try it, but results nor guaranteed. In my opinion it was not worth the pain. After 14 mos of shooting pains, inability to wear anything other than expensive running shoes & even custom orthotics, I had surgery on July 23rd. I had tried all the consrvative measures with no success. I was to the point where I could barely go out to my mailbox to get the mail. A cortisone shot didn’t give me even 5 minutes of relief. My doc said the neuroma was enormous, which didn’t surprise me based on the pain I was having. So, one week out my foot is in the air and I’m hoping for a good outcome. 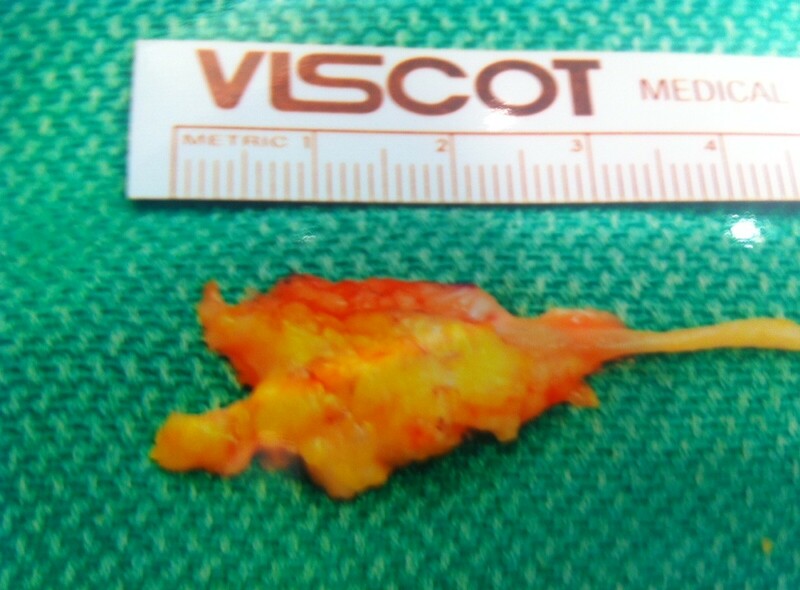 My surgeon did implant the nerve ending into muscle to guard against development of a stump neuroma. She has done these surgeries for 15 years and Has never had a patient develop a stump neuroma. I’m hoping I won’t be the first :-). She told me that the road back is rather individualized, but following post-op instructions can make a huge difference. So, I’m taking it easy, resting with my toes above the nose and hoping for the best! Hoping the same for all of you. Who is your doctor please, and where is she located? I am starting to keep a list of these doctors who do the reimplantation surgery for MN Talk at http://www.MortonsNeuromaTalk.com, mentioned above. You wouldn’t believe how hard it is to learn who and where they are. You may be of great help to many people. Please answer here or email me at info@MortonsNeuromaTalk.com. My 39 year old daughter was diagnosed with a Mortens Neuroma and tried rest, shoe change, and injection. None worked so her Kaiser Permanente specialist suggested surgery as the last alternative. It has been over 3 weeks and she has a large gaping hole in the top of her foot that is oozing cloudy yellowish liquid and the surgeon’s assistant says oh that is normal and it just has to heal on its own. They took the stitches out after only about 1 week and it bled profusely to which the assistant said oh, that is normal. The surgeon never even looked at her incision when the stitches were removed. Because they said they did not need to see her again and she got worried when it had not stopped bleeding, she went to urgent care where they gave her antibiotics (because it might be getting infected) and told her it needed to be restitched. Her surgeon still has not seen the mess he made. I am thinking he really does need to see her whether his assistant says “it’s normal” or not. Linda, I hope you all are taking pictures of what her foot is looking like. No, none of that is normal. It’s all very abnormal. If I were her, I would force this man to look at what he’s done and make him rectify the situation. Also, there are all sorts of websites out there now that allow us patients to REVIEW our doctors. I think she should visit every one of them and write a review about this man…and then let him know about it. Hi there. Thanks for posting this article. Yes, the early the treatment the better the outcome. My wife was diagnosed with Morton Neuroma 6 months ago. I did some research and came across an article that helped me understand why she had Morton’s Neuroma and what she could do about it. It is explained that Morton’s Neuroma are caused by overuse stress and strain in the area that leads to the release of inflammation. You can resist the stress of the impacts with the ground if you train your body to handle the impacts and releasing your human spring. Everything you need to know about Morton’s Neuroma is there and a lot more! It also includes video tutorials on how you can relieve the pain. Hi, I had surgery in April 2013 for my Morton’s Neuroma – all went very well and I was back playing netball 7 weeks later. I now have a very cold feeling around my ankle and it may be peroneal tendonitis – they think it may have occurred from changes to my walking following the surgery. I am waiting to see the foot specialist again in January – I really hope it can be fixed – I so want to be able to walk around and be active again. 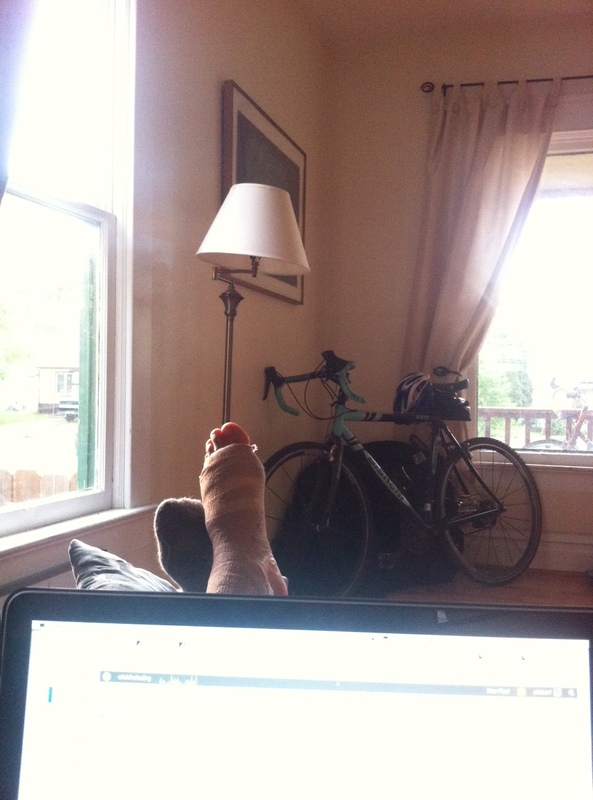 Within 8 weeks of surgery to remove 2 neuromas from my left foot, I set out to ride around the world on my bike. After 3 years on the road the neuroma returned – a cortisone injection has got me an extra 4,000 miles. Today as I wait for good weather to cross the USA, I had the second series of cortisone. I need to find another 7,000 miles to close the circle. To say I am a bag of lycra clad nerves is understating the anxiety of morton’s. I would say surgery is the only answer if you have big plans to be active – I spent a small fortune on orthotics. Pick the guy at the blunt end of the knife with more care than you would in finding a life partner. Best of luck all of you – If you want to see how to ride 27,000 miles after surgery flick across to my blog – and thanks for having this blog on the WWW. to share my story. 52 year old male here, 6’4, 210ish. I developed either one or two morton’s neuromas about six years ago in my left foot while squatting down on tip toes cleaning the shower. I thought it was a good stretch to assume that posture but in bare feet on uneven, lumpy tile it was not good. I could feel it when it happened;; twice there was a mild tearing sensation and then I was left with neuromas. I underwent a cryosurgery and it worked perfectly. I was able to do pretty much anything but after it I realized there was another, less problematic neuroma between two other toes. An additional cryosurgery failed to resolve that problem. I was pretty much pain-free for about two and a half years but gradually the problem returned. So far the only thing that permits a long walk is wearing a VERY stiff-soled hiking boot. I took a walk in Shanghai on business a couple of weeks ago thinking that I might be ok in spongy rubber sandals. The neuroma started to flare at about the two mile mark and it made my tour of the city pretty miserable. Now I’ve got some renewed interest in having the ability to take long walks (watching lots of naked and afraid) so I just ordered some “Correct Toes” toe spreaders which I’m pairing with some Altra trail shoes that I just received from Zappos. The Altras have a “spoon nose” and apparently will work with the Correct Toes when they arrive next week. I’m hoping that this combination of providing room and purposeful spreading of the toes will provide some relief. It may be true though that some power simply wants me to deal with left foot issues because the same day I ordered all of the stuff above I jumped off my sufboard onto the sand and must have landed on a rock because I’ve badly bruised (and hopefully not fractured) something in the heel of my left foot. If the Correct-Toes/Altra combo doesn’t work, I’m going to start shopping for a surgeon. Now that I’m learning the stump neuromas can be prevented by implanting the nerve into muscle tissue I’m feeling a lot more confident.